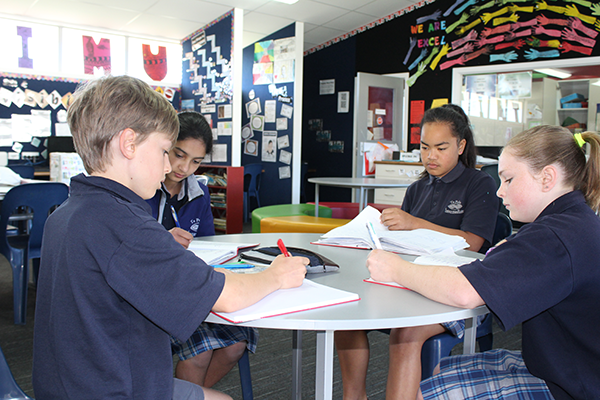 Our school philosophy is of the belief that all students have special talents in some areas and that all students should have access to extension and the particular strengths that individual teachers bring to the school. Gifted and Talented pupils are identified and programmes planned to meet their needs. Parents are invited to assist in the identification process. From the school tests and on teacher recommendation, students are further tested with a Level 4 test, covering all strands. A class of students are withdrawn during the Mathematics period. The programme has a focus on achievement at Level 4, a problem solving approach to topics, preparation for external examinations ( Aust. Tests and Otago Problem Solving). From Star tests all students with a Stanine of 8 or 9 are further tested to cover other aspects of the English Curriculum. A writing sample is also taken into account. A class of students is withdrawn during the English period. The Programme follows all school requirements as per the Literacy Guide. Students are expected to strive to complete work to Level 5. These should be designed to meet the needs of GATE students in the other Curriculum areas. Examples: Science Fair, Inquiry Learning in social Studies and Health, Art in Mini and Major technology programmes, Music and Drama experiences held throughout the year eg Popstars production, school band. Te Puke Intermediate is active in the Elite Sports Programme held throughout the Bay of Plenty/ Poverty Bay and in the National Intermediates/Middle Schools tournament. Teams are selected after trials and on teacher recommendation.